Perfect for vegetarian lovers, these gorgeous peppers are a well rounded meal. 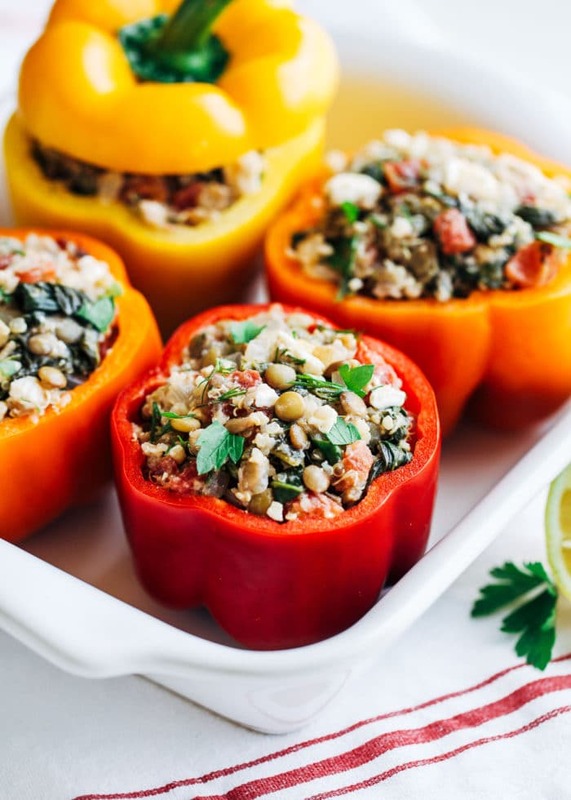 Mediterranean Quinoa Stuffed Peppers are stuffed with spinach, quinoa, lentils, roasted tomatoes, fresh dill, lemon and feta for a healthy and delicious gluten free meal. Quinoa which is gluten free, is one of the world’s most protein rich vegetarian health food we can eat. It is very healthy and the most nutritious food on the planet. It’s non-GMO and usually organically grown. Quinoa contains almost twice as much fiber as most other grains. Fiber is widely known for healthy digestion. It also helps to prevent heart disease by reducing high blood pressure and diabetes. Fiber lowers cholesterol levels. It makes you feel fuller longer and quinoa has less calories for the same volume of food. It has been proven that quinoa has tons of health benefits. Quinoa high in antioxidants such as manganese, is loaded with minerals such as iron and magnesium. Quinoa also contains large amounts of flavonoids, including quercetin and kaempferol. These are potent plant antioxidants with numerous health benefits. Can You Freeze A Stuffed Pepper? Cool the cooked stuffed peppers before freezing. 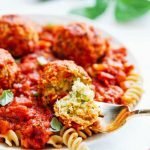 Place all stuffed peppers into a freezer safe dish. A large casserole dish works well. Cover with aluminum foil and then wrap the entire dish in plastic wrap. Leave no part of the peppers exposed. You may also freeze each pepper individually by cooling them, then wrap them in plastic wrap. Place the peppers into airtight freezer bags and freeze. A vacuum sealer also works.